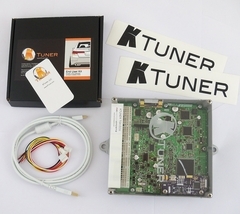 This is the all-new KTuner Revision 1 End-User board tuning system for use with K series engines. Allows engine tuning of K series engines by any end user (this is you if you are reading this). 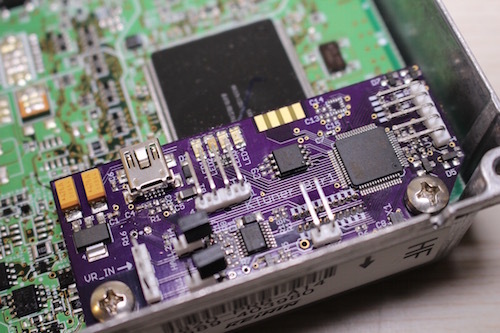 The KTuner End-User board system consists of a circuit board that is installed into your ECU along with software for use with the board. The system is tunable via laptop with a simple USB cable connection. This will allow you to reprogram your ECU for performance gains and to get the most from your engine modifications. What's new on the Revision 1 System? On Board Logging. Included on the new Revision 1 system is 8MB of on board storage with on-the-fly configurable logging rates. This means you can change the logging rate without erasing on board logging data or reflashing the ECU. The activation settings do require a reflash of the ECU. The activation window includes the option for a required input and the input can be ignored for deactivation. Additional Analog Inputs. Four analog inputs have been added that are directly fed to the ECU and can be configured to manipulate ECU functionality. More features will be released by KTuner using this technology soon. Direct Flex Fuel Sensor Support. Direct Flex Fuel/E85 sensor support to take advantage of not only ethanol content, but fuel temperature as well. Speed Inputs. Two new speed inputs have been added, VR or HALL, which can be configured and monitored. Traction control for non-driven wheel speed vs. driven wheel speed currently in testing and will be offered soon as a free software update. Peripheral Port. The peripheral port adds the ability to communicate with TunerView displays and Bluetooth modules that can be used with the TunerView Android App, and future add-on technology. Want Bluetooth? Select "add Bluetooth" from the drop-down menu above and we will include the new Bluetooth module! What vehicles can this be used on? This board is designed to be used with any of our HA Motorsports KTuner prepared K series ECU's, or your own ECU if you'd prefer to send yours in for installation (please check at the application links above to make sure your ECU is compatible). For a simple, all in one solution, see our KTuner End-User ECU packages! 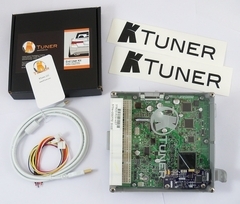 One KTuner end user software license (paired with system). The KTuner software can be downloaded here. 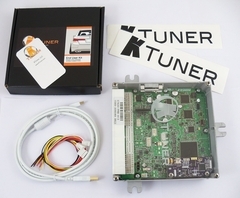 Free installation into customer provided ECU, or into one of our KTuner ready ECU's. See below for information on sending your ECU to us for installation. KTuner end-user system (this item). 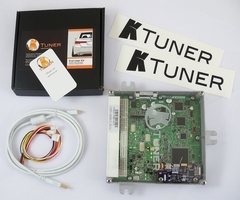 KTuner ready K series ECU (see our prepared ECU's, or options for sending your ECU in for installation). You cannot purchase and install this system yourself. You must either purchase with an ECU from us or send your ECU in for installation. Jumper harness on some applications (02-04 RSX, 02-05 Civic Si). Laptop Computer running Windows XP SP3, 7, 8, 8.1, or Windows 10, and atleast 1GB RAM or better is recommended. Add this item to your online shopping cart. Select and pay for your RETURN shipping method at checkout (for shipping back to you after installation is completed). Print out a copy of your order confirmation and include it with your ECU to ship to us. Pack securely, then ship to us using any shipping method you'd like. You will pay to ship to us wherever you go to ship. Click here for our shipping address. We will complete the installation within 1 business day and ship back to you using the return shipping method that you selected when you placed your order. Reinstall your ECU into you car and enjoy tuning! This is our complete KTuner end user system with 05-06 RSX PND ECU package. Will allow simple plug-and-play use. Requires no core, this is a complete out-right purchase of ECU and KTuner system ready to use. 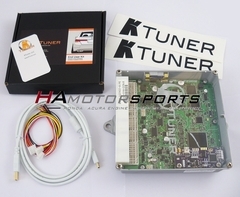 KTuner complete ECU package for the 2003-2005 Accord 4 cylinder chassis. This ECU package includes our KTuner 03-05 Accord ECU with a fully installed and tested complete KTuner End User System. You will not find a better solution for tuning your 03-05 4 cylinder Accord. Custom built ECU with KTuner End User system for the 2004-2006 Acura TSX with manual transmission. 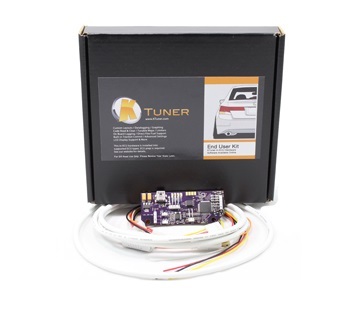 This package includes a custom replacement ECU (your factory TSX ECU will not work with KTuner) along with a fully installed and tested KTuner End User system.